Locations in Brisbane and Melbourne. Australia wide service. Sunset Signs provides high quality custom designed signwriting and signage solutions. Sunset Signs has more than 35 years of experience. We are a full service signwriting and signage company. We provide a full range of products and services. Sunset Signs can provide the following products; Displays, Illuminated Signs, LED Signs, A-Frames, Vehicle Signage and Wraps, Shop Fronts, Office and Corporate Signage, Reception Signs, Shopping Centre Signage, Directional Signs, Billboards, Banners, Fabricated Letters, Foam Letters, Laser and Router Cut Signs, Vinyl Lettering, Corflute and PVC Signs, Digital Printing, Teardrop and Fin Flags and more. Whatever your signage requirement we have it covered. Sunset Signs also provides a full range of services including: Graphic Design, Site Analysis and Recommendations, Project Management, Signage Installation, Repairs and Maintenance, Signage Repairs, Signage Manufacturing. 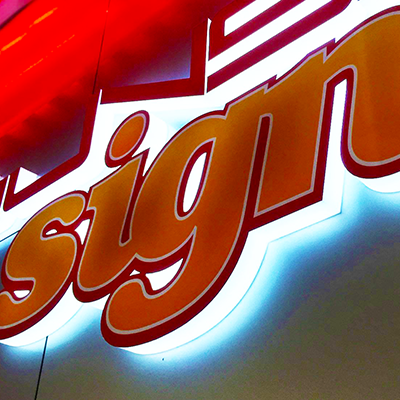 Sunset Signs knows everything there is to know about ‘signs’, and signwriting so contact us today to discuss your signage needs or to obtain a free quote. Your organisation’s brand image is critical to success in business. First impressions make an impact. You can trust Sunset Signs to enhance your brand and make your organisation stand out. Our highly skilled team of qualified tradespeople provide our clients with high quality, custom designed signage solutions. Our focus is to satisfy and exceed our client’s requirements. We will help your brand make an impact. Whatever your signage, manufacturing or installation requirement. The highly skilled and experienced team at Sunset Signs offers professional solutions to suit your needs and help your brand stand out. Contact us to find out more about our wide range of capabilities. Sunset Signs offers a complete range of services to ensure you do not have to waste your valuable time to achieve great results for your brand. Sunset Signs provides a comprehensive range of signage manufacturing solutions to service many different industries. There is more to signage than design and printing. Professional installation by skilled and experienced tradesman is critical for the best result. Established in 1978 by Jeffrey Best Sunset Signs in its early days specialised in traditional hand sign writing and screen printing. The evolution of technology has seen the industry change substantially over this period and Sunset Signs has grown from strength to strength with every technological advancement within the industry. Sunset signs knows technology will keep advancing causing industry to keep changing rapidly and we are committed to stay “ahead of the game”. As a group we are looking forward to tackling the opportunities and challenges of tomorrow with the positive energy we are working with today. The one thing that will never change is our dedication to our clients. Offering fast, friendly and professional service to win their loyalty and referrals. We are 100% committed to constantly advancing our customer relationships through reliable and consistent delivery of quality products and services on time and on budget. Our ultimate goal is to make you and your brand look good. Established in 1978, Sunset Signs provides clients with more than 35 years of experience. All of our signage is manufactured in-house and installed by our highly qualified and experienced tradesmen. We are located in Brisbane and Melbourne. Click here to locate our Melbourne Office. Call us or email us today for a no obligation quote and to discuss your upcoming project. Sunset Signs is the company you can trust to work with your brand. Offering a complete range of high quality, custom designed signage solutions and services. From consultation, surveys, design, project management, manufacturing and installation.